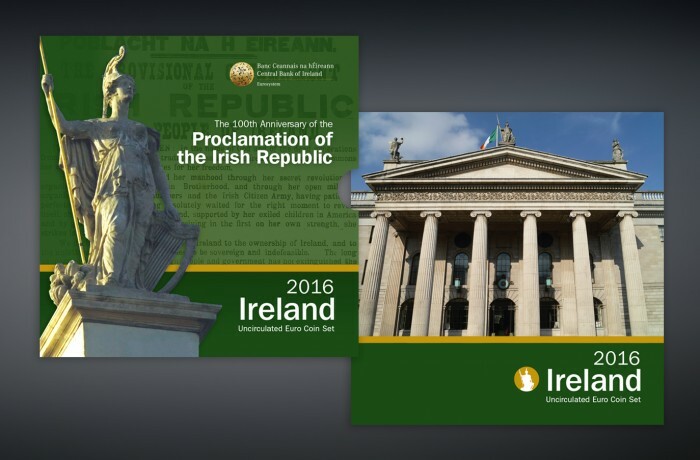 Annual Mint Set for Ireland marking the centenary of the 1916 Easter Rising. The centenary events in Ireland will run all year and mark one of the most significant events in Irish history. This commemorative coin pack for the Central Bank of Ireland marks the occasion with a well illustrated and informative presentation.